Get fit In your Home in Highlands Ranch with Debbie! My name is Debbie. 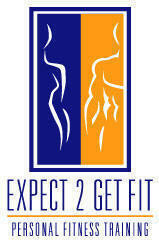 I am a In Home Personal Trainer Highlands Ranch CO and the surrounding areas. I believe as a Colorado Personal Trainer a successful work out program should bring balance into ones life, be flexible, attainable and fit your lifestyle. Do you need motivation when it comes to exercising? Have you hit a plateau, and are not seeing results? Do you need to be held accountable for your actions? I work with people who want to gain control of their bodies and be healthy and strong. I do this by bringing fun, intensity, and motivation to my exercise routines. I guarantee you will enjoy your workouts, you will not get bored, and you will become fit. I have been a personal trainer for the past 9 years with over 8000 personal training hours. WHEN DO YOU WANT TO MAKE IT HAPPEN? In-home/mobile personal training allows us to focus on your goals, one-on-one in an environment that feels comfortable and convenient to you. Whether you want to improve muscle strength and tone your body, shed unwanted body fat, increase your level of energy, or train for an upcoming event, I can help! The workout, equipment and I come to you! We can train outside at your favorite park or in the privacy of your home. Together, we’ll explore ways to blend fitness and wellness into your life without creating an imbalance in your time and energy! Contact In-Home Personal Trainer Debbie today.